For the early "drum machine" computers that used a rotating cylinder as their main memory, see drum memory. A drum machine is an electronic musical instrument that creates percussion. Drum machines may imitate drum kits or other percussion instruments, or produce unique sounds. Most modern drum machines allow users to program their own rhythms. Drum machines may create sounds using analog synthesis or play prerecorded samples. Drum machines have had a lasting impact on popular music. The Roland TR-808, introduced in 1980, significantly influenced the development of dance and hip hop music; its successor, the TR-909, introduced in 1983, influenced genres such as techno, house and acid house. The first drum machine to use samples of real drum kits, the Linn LM-1, was introduced in 1980 and adopted by rock and pop artists including Peter Gabriel, Fleetwood Mac, Yellow Magic Orchestra, Prince, and Stevie Wonder. In the late 1990s, software emulations began to overtake the popularity of physical drum machines. In 1957, Harry Chamberlin, an engineer from Iowa, created the Chamberlin Rhythmate, which allowed users to select between 14 tape loops of drum kits and percussion instruments performing various beats. Like the Chamberlin keyboard, the Rhythmate was intended for family singalongs. Around 100 units were sold. In 1959, Wurlitzer released the Sideman, which generates sounds mechanically by a rotating disc, similarly to a music box. A slider controls the tempo (between 34 and 150 beats per minute). Sounds can also be triggered individually through buttons on a control panel. The Sideman was a success and drew criticism from musicians' unions, which ruled that it could only be used in cocktail lounges if the keyboardist was paid the wages of three musicians. Wurlitzer ceased production of the Sideman in 1969. In 1960, Raymond Scott constructed the Rhythm Synthesizer and, in 1963, a drum machine called Bandito the Bongo Artist. Scott's machines were used for recording his album Soothing Sounds for Baby series (1964). During the 1960s, implementation of rhythm machines were evolved into fully solid-state (transistorized) from early electro-mechanical with vacuum tubes, and also size were reduced to desktop size from earlier floor type. 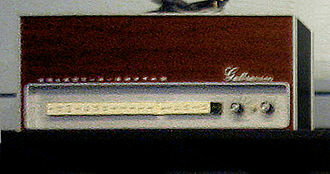 In the early 1960s, a home organ manufacturer, Gulbransen (later acquired by Fender) cooperated with an automatic musical equipment manufacturer Seeburg Corporation, and released early compact rhythm machines Rhythm Prince (PRP), although, at that time, these size were still as large as small guitar amp head, due to the use of bulky electro-mechanical pattern generators. Then in 1964, Seeburg invented a compact electronic rhythm pattern generator using "diode matrix" (U.S. Patent 3,358,068 in 1967), and fully transistorized electronic rhythm machine with pre-programmed patterns, Select-A-Rhythm (SAR1), was released. As the result of its robustness and enough compact size, these rhythm machines were gradually installed on the electronic organ as accompaniment of organists, and finally spread widely. In the early 1960s, a nightclub owner in Tokyo, Tsutomu Katoh was consulted from a notable accordion player, Tadashi Osanai, about the rhythm machine he used for accompaniment in club, Wurlitzer Side Man. Osanai, a graduate of the Department of Mechanical Engineering at University of Tokyo, convinced Katoh to finance his efforts to build better one. In 1963, their new company Keio-Giken (later Korg) released their first rhythm machine, Donca-Matic DA-20 using the vacuum tube circuits for sounds and mechanical-wheel for rhythm patterns. It was a floor-type machine with built-in speaker, and featuring a keyboard for the manual play, in addition to the multiple automatic rhythm patterns. Its price was comparable with the average annual income of Japanese at that time. Then, their effort was focused on the improvement of reliability and performance, along with the size reduction and the cost down. Unstable vacuum tube circuit was replaced with reliable transistor circuit on Donca-Matic DC-11 in mid-1960s, and in 1966, bulky mechanical-wheel was also replaced with compact transistor circuit on Donca-Matic DE-20 and DE-11. In 1967, Mini Pops MP-2 was developed as an option of Yamaha Electone (electric organ), and Mini Pops was established as a series of the compact desktop rhythm machine. In the United States, Mini Pops MP-3, MP-7, etc. were sold under Univox brand by the distributor at that time, Unicord Corporation. In 1965, Nippon Columbia filed a patent for an automatic rhythm instrument. It described it as an "automatic rhythm player which is simple but capable of electronically producing various rhythms in the characteristic tones of a drum, a piccolo and so on." It has some similarities to Seeburg's slightly earlier 1964 patent. In 1967, Ace Tone founder Ikutaro Kakehashi (later founder of Roland Corporation) developed the preset rhythm-pattern generator using diode matrix circuit, which has some similarities to the earlier Seeburg and Nippon Columbia patents. Kakehashi's patent describes his device as a "plurality of inverting circuits and/or clipper circuits" which "are connected to a counting circuit to synthesize the output signal of the counting circuit" where the "synthesized output signal becomes a desired rhythm." Ace Tone commercialized its preset rhythm machine, called the FR-1 Rhythm Ace, in 1967. It offered 16 preset patterns, and four buttons to manually play each instrument sound (cymbal, claves, cowbell and bass drum). The rhythm patterns could also be cascaded together by pushing multiple rhythm buttons simultaneously, and the possible combination of rhythm patterns were more than a hundred (on the later models of Rhythm Ace, the individual volumes of each instrument could be adjusted with the small knobs or faders). The FR-1 was adopted by the Hammond Organ Company for incorporation within their latest organ models. In the US, the units were also marketed under the Multivox brand by Peter Sorkin Music Company, and in the UK, marketed under the Bentley Rhythm Ace brand. A number of other preset drum machines were released in the 1970s, but early examples of the use can be found on The United States of America's eponymous album from 1967–8. The first major pop song to use a drum machine was "Saved by the Bell" by Robin Gibb, which reached #2 in Britain in 1969. Drum machine tracks were also heavily used on the Sly & the Family Stone album There's a Riot Goin' On, released in 1971. Sly & the Family Stone was the first group to have a number #1 pop single that used a drum machine: that single was "Family Affair". The German krautrock band Can also used a drum machine on their song "Peking O". The 1972 Timmy Thomas single "Why Can't We Live Together"/"Funky Me" featured a distinctive use of a drum machine and keyboard arrangement on both tracks. Another early example of electronic drums used by a rock group, is Obscured by Clouds by Pink Floyd, from early in 1972. The first album on which a drum machine produced all the percussion was Kingdom Come's Journey, recorded in November 1972 using a Bentley Rhythm Ace. French singer-songwriter Léo Ferré mixed a drum machine with a symphonic orchestra in the song "Je t'aimais bien, tu sais..." in his album L'Espoir, released in 1974. Miles Davis' live band began to utilize a drum machine in 1974 (played by percussionist James Mtume), which can be heard on Dark Magus (1977). Osamu Kitajima's progressive psychedelic rock album Benzaiten (1974) also utilized drum machines, and one of the album's contributors, Haruomi Hosono, would later start the electronic music band Yellow Magic Orchestra (as "Yellow Magic Band") in 1977. A key difference between such early machines and more modern equipment is that they use sound synthesis rather than digital sampling in order to generate their sounds. For example, a snare drum or maraca sound would typically be created using a burst of white noise whereas a bass drum sound would be made using sine waves or other basic waveforms. This meant that while the resulting sound was not very close to that of the real instrument, each model tended to have a unique character. For this reason, many of these early machines have achieved a certain "cult status" and are now sought after by producers for use in production of modern electronic music, most notably the Roland TR-808. One of the first programmable drum machine. one of the earliest electronically programmable drum machine. In 1972, Eko released the ComputeRhythm (1972), which was the first programmable drum machine. It had a 6-row push-button matrix that allowed the user to enter a pattern manually. The user could also push punch cards with pre-programmed rhythms through a reader slot on the unit. Another stand-alone drum machine released in 1975, the PAiA Programmable Drum Set was also one of the first programmable drum machines, and was sold as a kit with parts and instructions which the buyer would use to build the machine. In 1975, Ace Tone released the Rhythm Producer FR-15 that enables the modification of the pre-programmed rhythm patterns. In 1978, Roland released the Roland CR-78, the first microprocessor-based programmable rhythm machine, with four memory storage for user patterns. 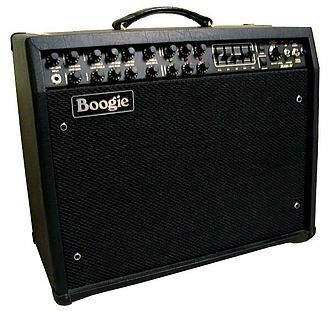 In 1979, a simpler version with four sounds, Boss DR-55, was released. The Linn LM-1 Drum Computer (released in 1980 at $4,995) was the first drum machine to use digital samples. It also featured revolutionary rhythmic concepts such as swing factors, shuffle, accent, and real-time programming, all of which have since rooted themselves in beat box technology. Only about 500 were ever made, but its effect on the music industry was extensive. Its distinctive sound almost defines 1980s pop, and it can be heard on hundreds of hit records from the era, including The Human League's Dare, Gary Numan's Dance, Devo's New Traditionalists, and Ric Ocasek's Beatitude. Prince bought one of the very first LM-1s and used it on nearly all of his most popular albums, including 1999 and Purple Rain. Many of the drum sounds on the LM-1 were composed of two chips that were triggered at the same time, and each voice was individually tunable with individual outputs. Due to memory limitations, a crash cymbal sound was not available except as an expensive third-party modification. A cheaper version of the LM-1 was released in 1982 called the LinnDrum. Priced at $2,995, not all of its voices were tunable, but crash cymbal was included as a standard sound. Like its predecessor the LM-1, it featured swappable sound chips. The LinnDrum can be heard on records such as The Cars' Heartbeat City and Giorgio Moroder's soundtrack for the film Scarface. It was feared the LM-1 would put every session drummer in Los Angeles out of work and it caused many of L.A.'s top session drummers (Jeff Porcaro is one example) to purchase their own drum machines and learn to program them themselves in order to stay employed. Linn even marketed the LinnDrum specifically to drummers. Following the success of the LM-1, Oberheim introduced the DMX, which also featured digitally sampled sounds and a "swing" feature similar to the one found on the Linn machines. It became very popular in its own right, becoming a staple of the nascent hip-hop scene. Other manufacturers soon began to produce machines, e.g. the Sequential Circuits Drum-Traks and Tom, the E-mu Drumulator and the Yamaha RX11. In 1986, the SpecDrum by Cheetah Marketing, an inexpensive 8-bit sampling drum external module for the ZX Spectrum, was introduced, with a price less of than £30, when similar models cost around £250. 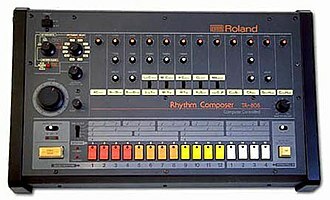 In 1980, the Roland Corporation launched the TR-808 Rhythm Composer. It was one of the earliest programmable drum machines, with which users could create their own rhythms rather than having to use preset patterns. Unlike the more expensive LM-1, the 808 is completely analog, meaning its sounds are generated non-digitally via hardware rather than samples (prerecorded sounds). 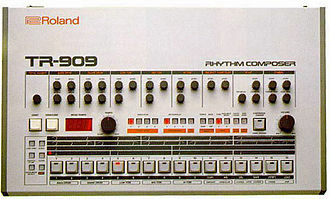 Launched when electronic music had yet to become mainstream, the 808 received mixed reviews for its unrealistic drum sounds and was a commercial failure. Having built approximately 12,000 units, Roland discontinued the 808 after its semiconductors became impossible to restock. Over the course of the 1980s, the 808 attracted a cult following among underground musicians for its affordability on the used market, ease of use, and idiosyncratic sounds, particularly its deep, "booming" bass drum. It became a cornerstone of the emerging electronic, dance, and hip hop genres, popularized by early hits such as Marvin Gaye's "Sexual Healing" and Afrika Bambaataa and the Soulsonic Force's "Planet Rock". The 808 was eventually used on more hit records than any other drum machine; its popularity with hip hop in particular has made it one of the most influential inventions in popular music, comparable to the Fender Stratocaster's influence on rock. Its sounds continue to be used as samples included with music software and modern drum machines. 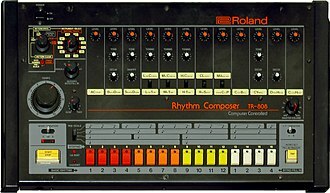 The 808 was followed in 1983 by the TR-909, the first Roland drum machine to use MIDI, which synchronizes devices built by different manufacturers. It was also the first Roland drum machine to use samples for some sounds. 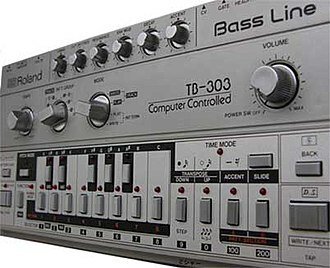 Like the 808, the 909 was a commercial failure, but had a lasting influence on popular music after cheap units circulated on the used market; alongside the Roland TB-303 bass synthesizer, it influenced the development of electronic genres such as techno, house and acid. By 2000, standalone drum machines had become less common, partly supplanted by general-purpose hardware samplers controlled by sequencers (built-in or external), software-based sequencing and sampling and the use of loops, and music workstations with integrated sequencing and drum sounds. TR-808 and other digitized drum machine sounds can be found in archives on the Internet. However, traditional drum machines are still being made by companies such as Roland Corporation (under the name Boss), Zoom, Korg and Alesis, whose SR-16 drum machine has remained popular since it was introduced in 1991. There are percussion-specific sound modules that can be triggered by pickups, trigger pads, or through MIDI. These are called drum modules; the Alesis D4 and Roland TD-8 are popular examples. Unless such a sound module also features a sequencer, it is, strictly speaking, not a drum machine. Programming of drum machines varies from product to product. On most products, it can be done in real time: the user creates drum patterns by pressing the trigger pads as though a drum kit were being played; or using step-sequencing: the pattern is built up over time by adding individual sounds at certain points by placing them, as with the TR-808 and TR-909, along a 16-step bar. For example, a generic 4-on-the-floor dance pattern could be made by placing a closed high hat on the 3rd, 7th, 11th, and 15th steps, then a kick drum on the 1st, 5th, 9th, and 13th steps, and a clap or snare on the 5th and 13th. This pattern could be varied in a multitude of ways to obtain fills, break-downs and other elements that the programmer sees fit, which in turn could be sequenced with song-sequence — essentially the drum machine plays back the programmed patterns from memory in an order the programmer has chosen. The machine will quantize entries that are slightly off-beat in order to make them exactly in time. If the drum machine has MIDI connectivity, then one could program the drum machine with a computer or another MIDI device. While drum machines have been used much in popular music since the 1980s, "...scientific studies show there are certain aspects of human-created rhythm that machines cannot replicate, or can only replicate poorly" such as the "feel" of human drumming and the ability of a human drummer to respond to changes in a song as it is being played live onstage. Human drummers also have the ability to make slight variations in their playing, such as playing "ahead of the beat" or "behind the beat" for sections of a song, in contrast to a drum machine that plays a pre-programmed rhythm. As well, human drummers play a "tremendously wide variety of rhythmic variations" that drum machines cannot reproduce. Drum machines developed out of a need to create drum beats when a drum kit was not available. Increasingly, drum machines and drum programming are used by major record labels to undercut the costly expense of studio drummers. ^ a b "The 14 drum machines that shaped modern music". FACT Magazine: Music News, New Music. 2016-09-22. Retrieved 2018-04-21. ^ "Vintage Seeburg Rhythm Prince Drum Machine". MatrixSynth. 2 February 2011. — When this patent was filed in 1964-06-26, also Automatic Rhythm Device, Automatic Repetitive Rhythm Instrument Timing Circuitry, and its sound circuits Snare Drum Instrument and Cow Bell Instrument were filed at the same time. ^ "Seeburg Select-a-Rhythm Vintage Drum Machine". MatrixSynth. May 3, 2011. ^ Colbeck, Julian (1996). Keyfax Omnibus Edition. MixBooks. p. 52. ISBN 978-0-918371-08-9. ^ a b "Donca-Matic (1963)". 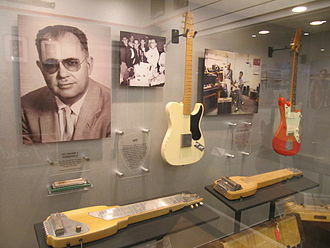 Korg Museum. Korg. ^ Roberts, Randall. "New release gathers Sly Stone's drum machine tracks of '69-'70". Los Angeles Times. ^ Jason Anderson (November 28, 2008). "Slaves to the rhythm: Kanye West is the latest to pay tribute to a classic drum machine". CBC News. Retrieved 2011-05-29. ^ "The EKO ComputeRhythm – Jean Michel Jarre's Drum Machine". synthtopia.com. 2009-08-25. ^ "Programmable Drum Set". Synthmuseum.com. Retrieved 2007-06-16. ^ "Ace Tone Rhythm Producer FR-15". ESTECHO.com. 2016-12-17. — Sakata Shokai/Ace Tone Rhythm Producer, a successor of Rhythm Ace after the reconstruction of Ace Tone brand in 1972, provided feature to modify the pre-programmed rhythms. ^ Colbeck, Julian. "Linn Electronics LinnDrum". Business Insights: Essentials. Electronic Musician. Retrieved 7 February 2017. ^ "Why Drummers Prefer LinnDrum to Other Drum Machines". Modern Drummer Magazine. 1984. ^ Ryan Block (2005-10-28). "Music Thing: The ZX Spectrum SpecDrum module". engadget.com. ^ P Henning; A Pateman. "Specdrum". Crash Magazine. ^ Valle, OV (13 February 2014). "TR-808 drum machine flashback – Roland U.S. blog". rolandus.com. Retrieved 16 January 2017. ^ a b Hamilton, Jack (16 December 2016). "808s and heart eyes". Slate. ISSN 1091-2339. Retrieved 16 January 2017. ^ a b "Everything you ever wanted to know about the Roland TR-808 but were afraid to ask". Fact. 16 January 2014. Retrieved 16 January 2017. ^ a b c Norris, Chris (13 August 2015). "The 808 heard round the world". The New Yorker. Retrieved 16 January 2017. ^ Beaumont-Thomas, Ben (14 February 2016). "Roland launch new versions of the iconic 808, 909 and 303 instruments". The Guardian. ISSN 0261-3077. Retrieved 16 January 2016. ^ Baldwin, Roberto (14 February 2014). "Early hip-hop's greatest drum machine just got resurrected". Wired. Retrieved 4 January 2016. ^ Richards, Chris (2 December 2008). "What's an 808?". Slate. ISSN 1091-2339. Retrieved 16 January 2016. ^ Wilson, Scott (25 January 2018). "Roland is releasing official software versions of its 808 and 909 drum machines". FACT Magazine. Retrieved 21 March 2018. ^ Kirn, Peter (2011). Keyboard presents the evolution of electronic dance music. Backbeat Books. ISBN 978-1-61713-446-3. ^ a b Reid, Gordon (December 2014). "The history of Roland: part 2 | Sound On Sound". Sound on Sound. Retrieved 3 January 2016. ^ "Nine Great Tracks That Use the Roland TR-909". Complex. Retrieved 2018-03-26. ^ "9 of the best 909 tracks using the TR-909". Mixmag. Retrieved 2018-03-26. ^ a b Barnes, Tom (23 March 2015). "Science shows why drum machines will never replace live drummers". mic.com. Music.mic. Retrieved 20 September 2015. ^ D Arditi (2014). "Digital Downsizing: The Effects of Digital Music Production on Labor". Journal of Popular Music Studies. 26 (4): 503–520. doi:10.1111/jpms.12095. hdl:10106/27051. The Roland TR-808 Rhythm Composer, often referred to simply as the 808, is a drum machine introduced by the Roland Corporation in 1980 and discontinued in 1983. It was one of the earliest programmable drum machines, with which users could create their own rather than having to use presets. Unlike its nearest competitor, the expensive and sample-based Linn LM-1 Drum Computer. Launched at a time when music had yet to become mainstream. It was succeeded in 1984 by the TR-909, over the course of the decade, the 808 attracted a cult following among underground musicians for its affordability, ease of use, and idiosyncratic sounds, particularly its deep, booming bass drum. It became a cornerstone of the electronic and hip hop genres, popularized by early hits such as Marvin Gayes Sexual Healing and Afrika Bambaataa. At the time, drum machines were most often used to accompany home organs, Lewis was known for performances using electronic instruments he had modified himself, decades before the popularization of instrument hacking via circuit bending. He made extensive modifications to the Ace Tone drum machine, creating his own rhythms and wiring the device through his organs expression pedal to accent the percussion, unique at the time. Lewis was approached by Ace Tone president and founder Ikutaro Kakehashi, in 1972, Kakehashi formed the Roland Corporation and hired Lewis to help design drum machines. By the late 1970s, microprocessors were appearing in such as the Sequential Circuits Prophet-5 synthesizer. In 1978, Roland released the CompuRhythm CR-78, the first drum machine with which users could write, with its next machine, the TR-808, Roland aimed to develop a drum machine for the professional market, expecting that it would mainly be used to create demos. Though the engineers aimed to emulate real percussion, the prohibitive cost of memory drove them to design sound-generating hardware instead of using samples, Kakehashi deliberately purchased faulty transistors to create the machines distinctive sizzling sound. Roland engineer Makoto Muri credited the design of the voice circuits to Mr.
House music is a genre of electronic music created by club DJs and music producers in Chicago in the early 1980s. Early house music was characterized by repetitive 4/4 beats, rhythms mainly provided by drum machines, off-beat hi-hat cymbals. While house displayed several characteristics similar to music, it was more electronic and minimalistic. House music became popular in Chicago clubs in 1984 and it was pioneered by figures such as Frankie Knuckles, Kym Mazelle, and Mr. Fingers, and was associated with African-American and gay subcultures. House music quickly spread to other American cities such as Detroit, New York City, Baltimore, in the mid-to-late 1980s, house music became popular in Europe as well as major cities in South America, and Australia. Since the early to mid-1990s, house music has been infused in mainstream pop, in the late 1980s, many local Chicago house music artists suddenly found themselves presented with major label deals. House music proved to be a successful genre and a more mainstream pop-based variation grew increasingly popular. House music has fused with other genres creating fusion subgenres, such as euro house, tech house, electro house. After enjoying significant success in the early to mid-90s, house music grew even larger during the wave of progressive house. The genre has remained popular and fused into other subgenres, for example, ghetto house, deep house. As of 2016, house music popular in both clubs and in the mainstream pop scene while retaining a foothold on underground scenes across the globe. The song structure of music songs typically involves an intro, a chorus, various verse sections, a midsection. Some songs do not have a verse, taking a part from the chorus. The drum beat is one of the important elements within the genre and is almost always provided by an electronic drum machine rather than by a human drummer playing drumkit. The drum beats of house are four on the floor, with bass drums played on every beat, House music is often based on bass-heavy loops or basslines produced by a synthesizer and/or from samples of disco or funk songs. In electronics, a vacuum tube, an electron tube, or just a tube, or valve, is a device that controls electric current between electrodes in an evacuated container. Vacuum tubes mostly rely on thermionic emission of electrons from a hot filament or a cathode heated by the filament and this type is called a thermionic tube or thermionic valve. A phototube, achieves electron emission through the photoelectric effect, the simplest vacuum tube, the diode, contains only a heater, a heated electron-emitting cathode, and a plate. Current can only flow in one direction through the device between the two electrodes, as electrons emitted by the travel through the tube and are collected by the anode. Adding one or more control grids within the tube allows the current between the cathode and anode to be controlled by the voltage on the grid or grids, Tubes with grids can be used for many purposes, including amplification, switching and display. In the 1940s the invention of devices made it possible to produce solid-state devices, which are smaller, more efficient, more reliable, more durable. 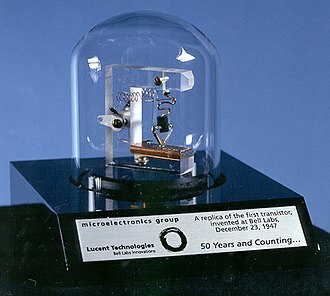 Hence, from the mid-1950s solid-state devices such as transistors gradually replaced tubes, the cathode-ray tube remained the basis for televisions and video monitors until superseded in the 21st century. However, there are still a few applications for which tubes are preferred to semiconductors, for example, the used in microwave ovens. One classification of vacuum tubes is by the number of active electrodes, a device with two active elements is a diode, usually used for rectification. Devices with three elements are used for amplification and switching. Additional electrodes create tetrodes, and so forth, which have additional functions made possible by the additional controllable electrodes. X-ray tubes are vacuum tubes. Phototubes and photomultipliers rely on electron flow through a vacuum, though in those cases electron emission from the cathode depends on energy from photons rather than thermionic emission, since these sorts of vacuum tubes have functions other than electronic amplification and rectification they are described in their own articles. A vacuum tube consists of two or more electrodes in a vacuum inside an airtight enclosure, most tubes have glass envelopes, though ceramic and metal envelopes have been used. In electronics, a diode is a two-terminal electronic component that conducts primarily in one direction, it has low resistance to the current in one direction, and high resistance in the other. A semiconductor diode, the most common today, is a crystalline piece of semiconductor material with a p–n junction connected to two electrical terminals. 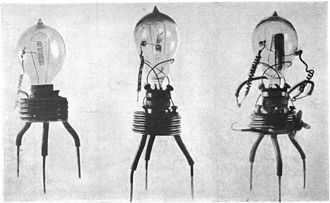 A vacuum tube diode has two electrodes, a plate and a heated cathode, semiconductor diodes were the first semiconductor electronic devices. The discovery of crystals rectifying abilities was made by German physicist Ferdinand Braun in 1874, the first semiconductor diodes, called cats whisker diodes, developed around 1906, were made of mineral crystals such as galena. Today, most diodes are made of silicon, but other such as selenium and germanium are sometimes used. The most common function of a diode is to allow a current to pass in one direction. Thus, the diode can be viewed as a version of a check valve. However, diodes can have complicated behavior than this simple on–off action. Semiconductor diodes begin conducting electricity only if a threshold voltage or cut-in voltage is present in the forward direction. The voltage drop across a forward-biased diode varies only a little with the current, and is a function of temperature, a semiconductor diodes current–voltage characteristic can be tailored by selecting the semiconductor materials and the doping impurities introduced into the materials during manufacture. These techniques are used to create special-purpose diodes that perform different functions. Tunnel, Gunn and IMPATT diodes exhibit negative resistance, which is useful in microwave, both vacuum and semiconductor, can be used as shot-noise generators. Thermionic diodes and solid state diodes were developed separately, at approximately the time, in the early 1900s. Until the 1950s vacuum tube diodes were used frequently in radios because the early point-contact type semiconductor diodes were less stable. In 1873, Frederick Guthrie discovered the principle of operation of thermionic diodes. Fleetwood Mac are a British-American rock band, formed in London in 1967. The band has more than 100 million records worldwide, making them one of the worlds best-selling bands of all time. 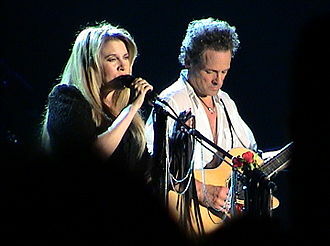 In 1998, selected members of Fleetwood Mac were inducted into the Rock and Roll Hall of Fame, to date, the album has sold over 40 million copies worldwide, making it the eighth-highest-selling album of all time. Due to numerous changes, the only original member present in the band is drummer Mick Fleetwood. Keyboardist Christine McVie, who joined the band in 1970 while married to John McVie, has appeared on every album except the debut album and she left the band in 1998 but returned in 2014. Fleetwood Mac were formed in July 1967 in London when Peter Green left the British blues band John Mayall & the Bluesbreakers, Peter Green had replaced guitarist Eric Clapton in the Bluesbreakers, and received critical acclaim for his work on their album A Hard Road. After he had been in the Bluesbreakers for some time, Green asked if drummer Mick Fleetwood could replace Aynsley Dunbar, Green had been in two bands with Fleetwood—Peter Bs Looners and the subsequent Shotgun Express. John Mayall agreed and Fleetwood became a member of the band, the Bluesbreakers now consisted of Green, John McVie and Mayall. Mayall gave Green free recording time as a gift, in which Fleetwood, McVie, the fifth song was an instrumental which Green named after the rhythm section, Fleetwood Mac. Soon after, Green contacted Fleetwood to form a new band, the pair wanted McVie on bass guitar and even named the band Fleetwood Mac as a way to entice him. However, McVie opted to keep his income with Mayall rather than take a risk with a new band. The Green, Spencer, Brunning version of the band made its debut on 13 August 1967 at the Windsor Jazz, Brunning merely played at a handful of gigs with Fleetwood Mac. Within weeks of this show, John McVie agreed to join the band as permanent bassist, Fleetwood Macs first album, Fleetwood Mac, was a no-frills blues album and was released on the Blue Horizon label in February 1968. In fact there were no players on the album. The album was successful in the UK, hitting No,4, though it did not have any singles on it. It is one of the constituents of Nikkei 225 and is the worlds largest piano manufacturing company. Yamaha was established in 1887 as a piano and reed organ manufacturer by Torakusu Yamaha as Nippon Gakki Company, Limited in Hamamatsu, the companys origins as a musical instrument manufacturer are still reflected today in the groups logo—a trio of interlocking tuning forks. The YA-1, of which 125 were built in the first year of production, was named in honour of the founder and it was a 125cc, single cylinder, two-stroke, street bike patterned after the German DKW RT125. In 1955, the success of the YA-1 resulted in the founding of Yamaha Motor Co. Ltd, in 1989, Yamaha shipped the worlds first CD recorder. Yamaha purchased Sequential Circuits in 1988 and it bought a majority stake of competitor Korg in 1987, which was bought out by Korg in 1993. In the late 1990s, Yamaha released a series a portable battery operated keyboards under the PSS, in 2002, Yamaha closed down its archery product business that was started in 1959. Six archers in five different Olympic Games won gold medals using their products and it acquired German audio software manufacturers Steinberg in January 2005, from Pinnacle Systems. K. Ltd, the UK piano sales & manufacturing arm was unaffected, on December 20,2007, Yamaha made an agreement with the Austrian Bank BAWAG P. S. K. Group BAWAG to purchase all the shares of Bösendorfer, intended to place in early 2008. Yamaha intends to continue manufacturing at the Bösendorfer facilities in Austria, the acquisition of Bösendorfer was announced after the NAMM Show in Los Angeles, on January 28,2008. As of February 1,2008, Bösendorfer Klavierfabrik GmbH operates as a subsidiary of Yamaha Corp, Yamaha Corporation is widely known for their music teaching programme that began in the 1950s. Yamaha electronic have proven to be successful and respected products, for example, the Yamaha YPG-625 was given the award Keyboard of the Year and Product of the Year in 2007 from The Music and Sound Retailer magazine. In music, sampling is the act of taking a portion, or sample, of one sound recording and reusing it as an instrument or a sound recording in a different song or piece. Sampling was originally developed by experimental musicians working with musique concrète and electroacoustic music, by the late 1960s, the use of tape loop sampling influenced the development of minimalist music and the production of psychedelic rock and jazz fusion. Hip hop music was the first popular music based on the art of sampling – being born from 1970s DJs who experimented with manipulating vinyl on two turntables and an audio mixer. Historically, sampling was most often done with a sampler — a specialized piece of hardware — but today, vinyl emulation software may be used, and turntablists continue to sample using traditional methods. Often samples consist of one part of a song, such as a rhythm break, for instance, hip hop music developed from DJs looping the breaks from songs to enable continuous dancing. Samples can consist of words and phrases, including those in non-musical media such as movies, TV shows. Sampling does not necessarily mean using pre-existing recordings, a number of composers and musicians have constructed pieces or songs by sampling field recordings they made themselves, and others have sampled their own original recordings. 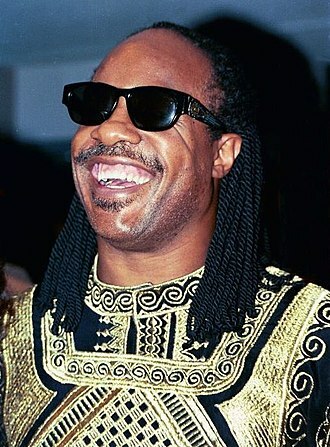 The use of sampling is controversial legally and musically, in the 1970s, when hip hop was confined to local dance parties, it was unnecessary to obtain copyright clearance in order to sample recorded music at these parties. Aside from legal issues, sampling has been championed and criticized. Hip-hop DJs today take different approaches to sampling, with critical of its obvious use. Some critics, particularly those with a rockist outlook, have expressed the belief all sampling is lacking in creativity, while others say sampling has been innovative and revolutionary. Those whose own work has been sampled have voiced a variety of opinions about the practice. Once recorded, samples can be edited, played back, or looped, types of samples include, The drums and percussion parts of many modern recordings are really a variety of short samples of beats strung together. Bossa nova is a genre of Brazilian music, which developed and was popularized in the 1950s and 1960s and is today one of the best-known Brazilian music genres abroad. The phrase bossa nova means literally new trend, a lyrical fusion of samba and jazz, bossa nova acquired a large following in the 1960s, initially among young musicians and college students. In Brazil, the word bossa is a slang for something that is done with particular charm. As early as 1932, Noel Rosa used the word in a samba, O samba, the exact origin of the term bossa nova remained unclear for many decades, according to some authors. Within the artistic culture of the late 1950s in Rio de Janeiro. In his book Bossa Nova, Brazilian author Ruy Castro asserts that bossa was already in use in the 1950s by musicians as a word to characterize someones knack for playing or singing idiosyncratically. Castro claims that the term bossa nova might have first been used in public for a given in 1957 by the Grupo Universitário Hebraico do Brasil. The authorship of the bossa nova is attributed to the then-young journalist Moyses Fuks. That group consisted of Sylvia Telles, Carlos Lyra, Nara Leão, Luizinho Eça, Roberto Menescal, mr. Fukss description, fully supported by most of the bossa nova members, simply read HOJE. SYLVIA TELLES E UM GRUPO BOSSA NOVA, since Sylvia Telles was the most famous musician in the group at that time, in 1959, Nara Leão participated in more than one embryonic display of bossa nova. These include the 1st Festival de Samba Session, conducted by the student union of Pontifícia Universidade Católica and this session was chaired by Carlos Diegues, latter a prominent Cinema Novo film director, a law student whom Leão ultimately married. Bossa nova is most commonly performed on the classical guitar. Its purest form could be considered unaccompanied guitar with vocals, as created, even in larger, jazz-like arrangements for groups, there is almost always a guitar that plays the underlying rhythm. Gilberto basically took one of the several rhythmic layers from an ensemble, specifically the tamborim. A drum kit consists of a mix of drums and idiophones most significantly cymbals but including the woodblock and cowbell. In the 2000s, some include electronic instruments and both hybrid and entirely electronic kits are used. If some or all of them are replaced by electronic drums, the drum kit is usually played while seated on a drum stool or throne. The drum kit differs from instruments that can be used to produce pitched melodies or chords, even though drums are often placed musically alongside others that do, such as the piano or guitar. The drum kit is part of the rhythm section used in many types of popular and traditional music styles ranging from rock and pop to blues. Other standard instruments used in the section include the electric bass, electric guitar. Many drummers extend their kits from this pattern, adding more drums, more cymbals. Some performers, such as some rockabilly drummers, use small kits that omit elements from the basic setup, some drum kit players may have other roles in the band, such as providing backup vocals, or less commonly, lead vocals. Thus, in an early 1800s orchestra piece, if the called for bass drum and cymbals. In the 1840s, percussionists began to experiment with foot pedals as a way to them to play more than one instrument. In the 1860s, percussionists started combining multiple drums into a set, the bass drum, snare drum and other percussion instruments were all played using hand-held drum sticks. Double-drumming was developed to one person to play the bass and snare with sticks. With this approach, the drum was usually played on beats one. This resulted in a swing and dance feel. The drum set was referred to as a trap set. By the 1870s, drummers were using an overhang pedal, most drummers in the 1870s preferred to do double drumming without any pedal to play multiple drums, rather than use an overhang pedal. Companies patented their pedal systems such as Dee Dee Chandler of New Orleans 1904–05, liberating the hands for the first time, this evolution saw the bass drum played with the foot of a standing percussionist. Joseph Moiseyevich Schillinger was a composer, music theorist, and composition teacher who originated the Schillinger System of Musical Composition. He was born in Kharkiv, in the Kharkov Governorate of the Russian Empire, Schillinger came from this background, dedicated to creating truly professional musicians, having been a student of the St Petersburg Imperial Conservatory of Music. George Gershwin spent four years studying with Schillinger, during this period, he composed Porgy and Bess and consulted Schillinger on matters concerning the opera, particularly its orchestration. There has been disagreement about the nature of Schillingers influence on Gershwin. A third account of Gershwins musical relationship with his teacher was written by Gershwins close friend Vernon Duke, a Schillinger student, Some of Gershwins notebooks from his studies with Joseph Schillinger can be found at the Library of Congress. In the field of music, Schillinger collaborated with Léon Theremin, the inventor of an early electronic musical instrument. Schillinger wrote his First Airphonic Suite for Léon Theremin, who played the instrument at the premiere in 1929 with the Cleveland Orchestra and his mathematical principles were applied to various fields other than music. For example, Schillinger collaborated with the film maker Mary Ellen Bute, Schillinger House opened in 1945 and became the Berklee College of Music where the System survived in the curriculum until the 1960s. There has been debate surrounding how many teachers were certified by Schillinger himself, the numbers cited range from seven to twelve certified teachers. Yet, to date, only seven certified teachers of the Schillinger System have been substantiated, two certified teachers were Asher Zlotnik of Baltimore, Maryland, a student and personal friend of Lyle Dowling and Edwin Gerschefski. Schillinger System of musical composition Anderson, jeremy, Keys to the Schillinger System, course B, Basic principles and foundations. “Joseph Schillinger, Music Science Promethean” American Music 21/1, 45-73, a Dictionary of American Composers, Garland,1984. Gulbransen Company was a musical instrument manufacturer of player pianos and home organs in the United States. It was originally established in 1904 by Axel Gulbransen as Gulbransen Piano Company, in the history of musical instruments, Gulbransen is notable for several innovations. In its early years, Gulbransen made the first upright piano with a piano mechanism in the same case. In the 1920s, thousands of pianos were manufactured by the firm under the Gulbransen. Also in the 1960s, Gulbransen released one of the earliest transistorized rhythm machines Seeburg/Gulbransen Select-A-Rhythm, note that Seeburg invented a fully transistorized rhythm machine in 1964, which was patented in 1967. On the other hand, the owner of Gulbransen has changed several times since the 1950s, around 1950, it was sold to CBS, in 1964, merged with Seeburg Corporation, and production was once ceased in 1969. In 1985, Mission Bay Investments acquired the brand and produced Elka organs under the Gulbransen name, in 2002 or 2003, QRS Music Technologies acquired the brand and pianos were made by Samick. Electronic dance music is a broad range of percussive electronic music genres made largely for nightclubs and festivals. EDM is generally produced for playback by disc jockeys who create seamless selections of tracks, called a mix, EDM producers perform their music live in a concert or festival setting in what is sometimes called a live PA. In the United Kingdom and in continental Europe, EDM is more commonly called dance music or simply dance. In the late 1980s and early 1990s, following the emergence of raving, pirate radio, at this time a perceived association between EDM and drug culture led governments at state and city level to enact laws and policies intended to halt the spread of rave culture. By the early 2010s the term dance music and the initialism EDM was being pushed by the US music industry. Early examples of dance music include the disco music of Giorgio Moroder. During the early 1980s, the popularity of disco music declined in the United States, abandoned by major US record labels. 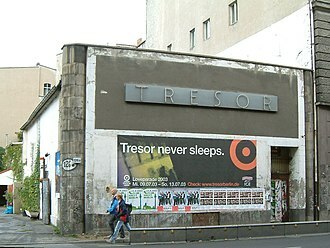 European disco continued evolving within the mainstream pop music scene. European acts Silver Convention and Kisses, Munich Machine, and American acts Donna Summer, in 1977, Giorgio Moroder and Pete Bellotte produced I Feel Love for Donna Summer. It became the first well-known disco hit to have a completely synthesised backing track, other disco producers, most famously American producer Tom Moulton, grabbed ideas and techniques from dub music to provide alternatives to the four on the floor style that dominated. The sound that originated from P-Funk the electronic side of disco, dub music. 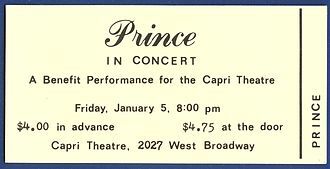 Much of the music produced during this time was, like disco, at this time creative control started shifting to independent record companies, less established producers, and club DJs. Other dance styles that began to become popular during the era include dance-pop, electro, Italo disco, house. In the early 1980s, electro emerged as a fusion of funk, called electro-boogie, but shortened to electro, cited pioneers include Zapp, D.
Yoruba drummers: One holds omele ako and batá, the other two hold dunduns. An honorary street name sign in Chicago for house music and the seminal DJ Frankie Knuckles. House music pioneers Alan King, Robert Williams and Derrick Carter. Swedish House Mafia and Italian DJ Benny Benassi performing in 2011. 1918 Seeburg Orchestrion, "Style G" used a 10-song music roll and played multiple wind, string, and percussion instruments. A 1940s-era Valvo combo amp. The Buchla Music Easel included a number of fader-style controls, switches, patch cord-connected modules, and a keyboard. Close-up view of a silicon diode. The anode is at the right side; the cathode is at the left side (where it is marked with a black band). The square silicon crystal can be seen between the two leads. Various semiconductor diodes. Bottom: A bridge rectifier. In most diodes, a white or black painted band identifies the cathode into which electrons will flow when the diode is conducting. Electron flow is the reverse of conventional current flow. Point contact diode (crystal rectifier or crystal diode), type 1N23C. Grid one quarter inch.